I love this review! What a terrific chance to get to know you better, Janet. Congratulations to reviewer and reviewee. The topic of your book is marvelous, and the illustrations are, too. Thanks for sharing it! I would love to be entered. I've been seeing this book around and it looks precious! I went to Star Bright Books, and there's so many cute books!! I think I liked Bah!Humbug? the best. I'm wanting to add more holiday books to our shelves. 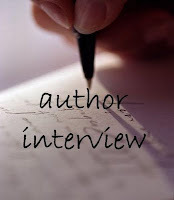 Thanks so much for the great review of my book, plus the interview and giveaway. And thanks to those who stopped by for your nice comments. Happy Reading and Happy Dreams to All! Great review. I'm purposefully not mentioning one of your other wonderful books. I wanted to keep myself out of the running & hope a new or old fan will benefit. Good luck with your tour! I agree Janet with laundry off the line! I love hearing the birds call...I love the cardinal and my favorite chickadee [in the spring it sounds like the Phoebe]. I like the looks of your Little Skink's Tail book..soooo cute! I went to Start Bright Books and I think DISABLED FABLES looks adorable. What a delightful book! I enjoyed the review and interview and appreciate being entered to the drawing. 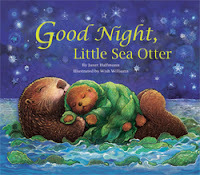 I'm sure my little grandsons would enjoy Good Night, Little Sea Otter. Wow! Lots more visitors. Thanks to everyone for stopping by and for you wonderful comments. My boys would love Janet's Fur and Feathers book. Sounds great! Zoo Animals looks very good (on the Star Bright Book website). There are so many to pick from! I also like Janet's Plant Tricksters! I also like A Donkey Reads by Muriel Mandell! This books looks so cute! Would love to read it to my little grandchildren. I think The Cats of Mrs. Calamari looks like a fun book. Fur and Feathers has definitely caught my interest. I would very much love to have Good Night, Little Sea Otter. It sounds like the close relationship that my daughter and grandson have. From Star Bright Books, I am interested in Liar, Liar, Pants on Fire. It reminds me of that same phrase that we used to say to each other when I was a child. Fur and Feathers looks like another fun book and I couldn't see the name of the book on the other site but the picture of the two children with the snowman attracted me.